Please use this section of the website to view online and download the current Weber Rescue UK Catalogue. 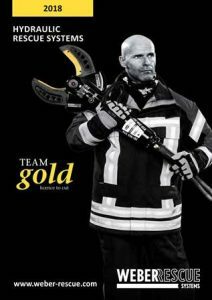 The catalogue features the latest developments and new products available from Weber Rescue Systems, including the future of Battery Rescue Tools, E-FORCE 2. You can use the viewers on the left to browse though our catalogue online (Please note that Flash is required for this) or if you wish to download to your computer or device then please use the links to the right of the screen where you can view as PDF.